Point Park welcomes your interest in our employment opportunities and strives to attract top candidates for our job openings. Point Park is a private, urban university with nearly 4,000 undergraduate and graduate students at our campus in Downtown Pittsburgh. The University employs more than 400 full-time and 400 part-time faculty and staff, who enjoy a unique culture of higher education while working together to support our University's mission, vision and values. Point Park offers a competitive benefits package for full-time employees. Part-time employees are eligible for limited benefits. If you are interested in pursuing an opening at Point Park, please follow our steps for Applying for Job Opportunities. 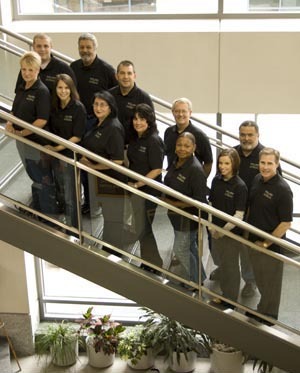 In 2009, Point Park initiated a staff service program to encourage, recognize and reward exemplary performance by our dedicated and talented employees. The STARS program (Striving to Achieve Remarkable Service) supports the University's guiding principle of creating a quality student experience.